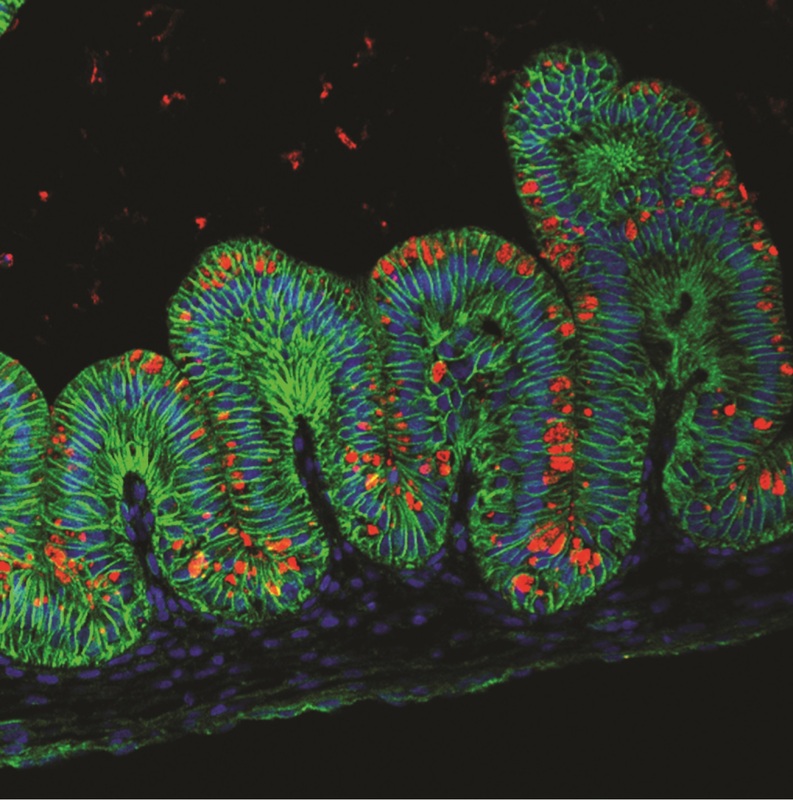 Three-dimensional human gastric tissues grown from human stem cells provide a new system for studying human stomach development and disease, scientists report. Gastric diseases, such as ulcers and gastric cancer, affect 10% of the world’s population. However, species differences in embryonic development and the architecture of the adult stomach make it hard to study gastric organogenesis and pathogenesis in animal models. Kyle W. McCracken et al (Cincinnati Children’s Hospital Medical Center) report in the 29 October issue of Nature that it is possible to grow human gastric tissue via directed differentiation of human pluripotent stem cells. The authors manipulated various embryonic signaling pathways to generate 3-dimensional human gastric organoids that progressed through molecular and morphogenetic stages nearly identical to those of the developing antrum of the mouse stomach. Organoids formed primitive gastric gland- and pit-like domains, proliferative zones containing LGR5-expressing cells, surface and antral mucous cells, and gastric endocrine cells. McCracken et al. used the cultures to identify signaling mechanisms that regulate early endoderm patterning and gastric endocrine cell differentiation. Infection of the organoids with Helicobacter pylori resulted in rapid association of the virulence factor CagA with the receptor tyrosine kinase MET to activate epithelial proliferation. The authors conclude that this is an important in vitro system for elucidating the mechanisms of stomach development and disease. NBC News reported that the researchers are already using the model to study stomach cancer. Bloomberg News reported that the organoids produce hormones that regulate the secretion of acid and digestive enzymes, and that the researchers are investigating whether the organoids might be grown into grafts for treating peptic ulcers, or even to make larger organs for transplantation. However, the Washington Post reported that although the stomach-like organoids grow from stem cells in around a month, but they don’t get past an embryonic stage of development. Wells told the Post that the organoids are currently limited to a certain size by lack of oxygen and nutrients. The authors say they might be able to make a more advanced stomach by creating an artificial vasculature system.